Bahadoor - laugh past 16 years. Over spanning 50 years of his life in Malayalam cinema, Bahadoor had his last laugh on May 22 in 2000. 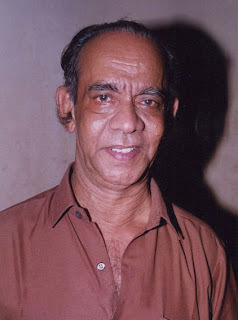 He last made his presence felt in Lothithadas's film "Joker", his character of joker always ready with the smile to entertain the audience, that was well jelled up with the real life of Bahadur. sky, After this there were his combination with S.P.Leela reigned the screens. Later on his screen presence with Adoor Bhasi turned out to be the gem for the Malayalam Cinema. People enjoyed every bit of Bhasi and Bahadoor team as their own life. He also tried his hands at production with his production house "Ithihasa Pictures" in 1970, but it couldn't gave any pay back to Bahadoor. Ithihasa Pictures produced 12 films not gave any good collections to survive. In the end of 70's he started a Black and White studio named K.C. Lab, which also gone down with his expectations as it was the era that turning to the color films. Bahadoor was born in 1930 at Kodungalloor during the British India, which is now in Thrissur. Padiyath Blangalil Kochumoideen and Khadeeja's son turned out to be the unforgettable actors in the history of Indian Cinema. mollywoodframes.com remembers Bahadoor on his 16th death anniversary.